When a baby gets sick, there are a lot of things to worry about. Are they going to be able to fight the infection? With they be able to get enough sleep? Is this infection going to make you lose your mind? While most mothers will run to the doctor right away when their child gets sick, it is not necessary. 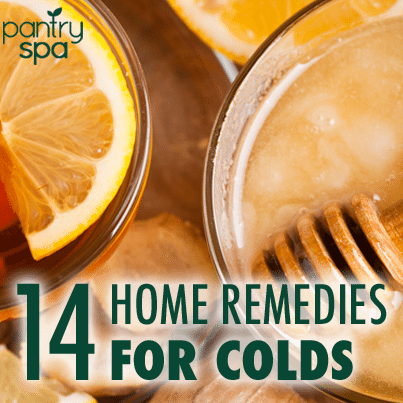 While it may be good to take the infant to the doctor for something serious, if they simply have a cold, there are a number of safe and effective home remedies to deal with it. Fill the child’s bottle with milk and add about 1/2 teaspoon of honey. Given twice a day, this can help a child keep the symptoms to a minimum while also fighting off the cold. However, this is not recommended for children under one year old because it contains botulinum spores that can be dangerous. Steaming different rooms in the home can help the child breathe better. The steam will unblock the phlegm in the throat as well as lessen the throat irritation from the cold. Slowly adding a few saline drops to a child’s nose can remove the trapped and hardened mucus on the nose. This should only be done up to four times a day since it can have the reverse effect of drying out the nose if used too often. Babies do not always need to see the doctor when they are sick with a cold. Sometimes all it takes are some home remedies to clear the mucus and fight cold.